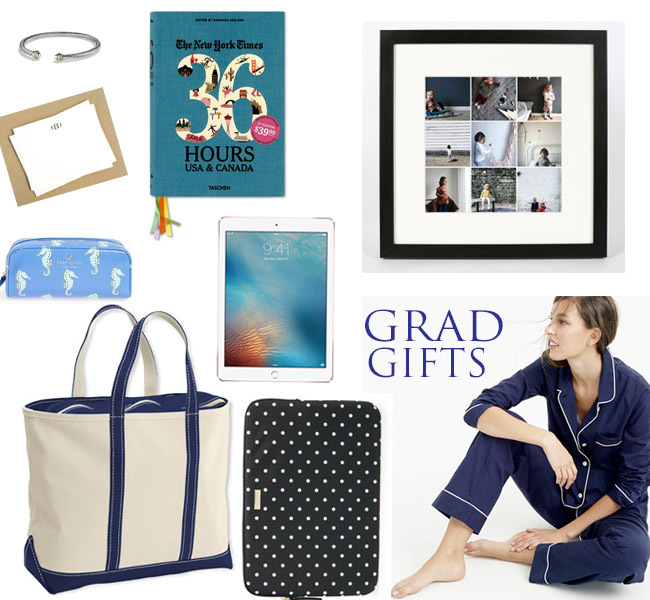 Today I have rounded up some great gifts for the high-school, college, or grad school graduates in your life. I strongly believe a great graduation gift should be a classic staple that maybe the graduate couldn't afford to get themselves or wouldn't splurge on for themselves. Something they will use for year's to come. When in doubt, money is always a great option too. Some of my favorite graduation gifts were travel bags that I used for years to come. David Yurman Link Bracelet - Looking back I wish I had asked for more classic statement pieces growing up so that I could have started building a collection at a young age. I think a beautiful piece of jewelry or a watch to commemorate this special time in their life is a timeless gift that they will treasure for years to come. 36 Hours USA & Canada is such a cool book and perfect for the grad ready to spread their wings and start exploring the world. Social Print Studio will print some very cool framed photos from their Instagram. A great graduation shot would make a wonderful memory. I love when people give me framed photos. Monogram Stationary - Every graduate needs her own gorgeous personalized stationary. Especially after all the amazing gifts. There are so many gorgeous options on Etsy for great prices. Kate Spade Makeup Bag - the perfect bag to throw in your bookbag or tote for early morning classes. IPad Pro- a splurgeworthy gift that any graduate would love to get. Kate Spade Laptop Case - a great case to protect your laptop traveling back and forth to class and the library. J.Crew Pajamas - Super cozy pajamas that any girl would love to have. LL Bean Boat and Tote Zip Bag - the most durable and long lasting canvas bag - great for weekend travel and will hold up for so many years. Have it monogrammed. What are you buying the grads in your life this year?